There’s something for everyone at PJ’s Village Pub and Sports Bar! Join us for great food, beer, conversation and laughter. PJ’s Pub is THE spot for sports, with all the NFL, MLB and NBA TV packages – so you will never miss your favorite sports while enjoying a cold beer or a great meal at the Pub! Every item that Chef Luis prepares is homemade and is only what we would serve our family and friends, with daily specials and vegetarian options. Here at PJ’s we have Sedona’s best selection of local beers on tap, a fun sports bar atmosphere, and a friendly staff who make every visit to PJ’s an enjoyable one. 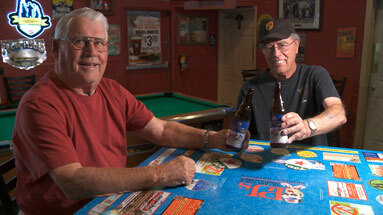 PJ’s Pub in the Village of Oak Creek - serving the good stuff for over 20 years!